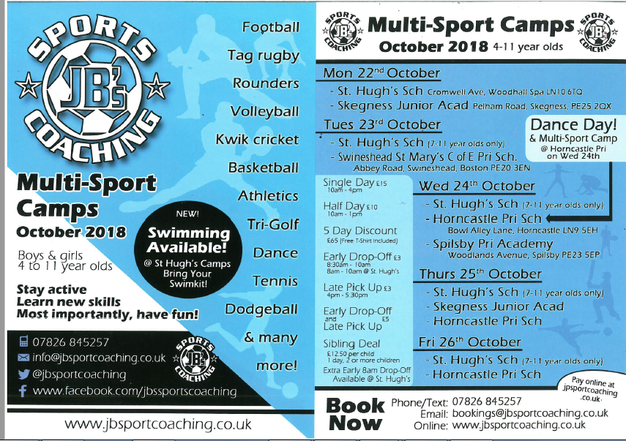 JB Sports timetable for Multi-Sport camps during October half term. These are available for children aged between 4-11. Please contact JB Sports for more information.